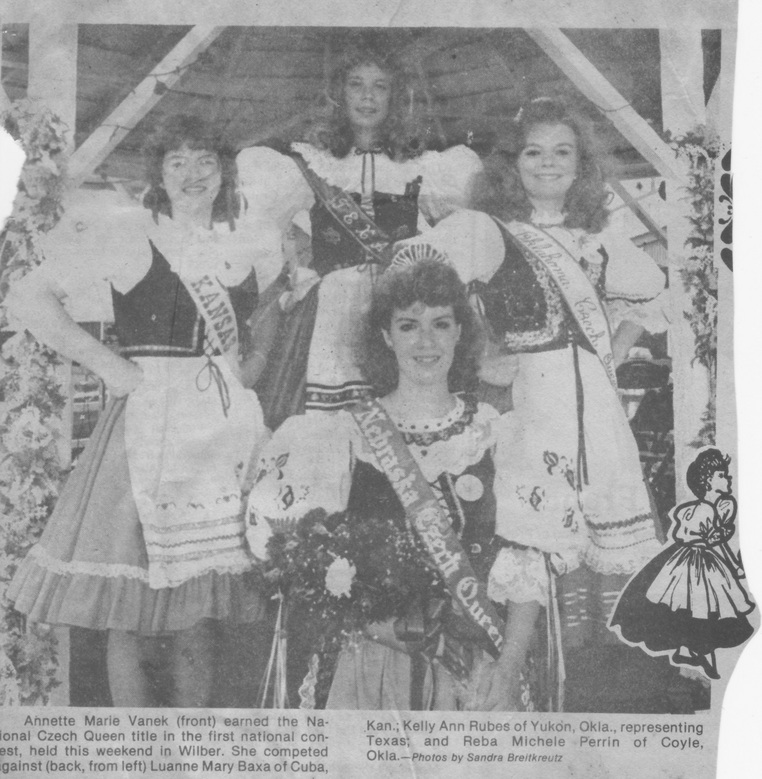 Annette Vanek, Nebraska Czech Queen, of Malmo, Nebraska was crowned the 1987 National Czech Queen. Annette attends the University of Nebraska in Lincoln. She is studying vocal and instrumental music and her goals are to teach vocal or instrumental music. She is the daughter of Edward and Rose Vanek. With the title Annette received a $400 US Savings Bond, crown, trophy and flowers. Kelly Ann Rubes of Austin, TX was crowned 1st Runner Up and received a $200 US Savings Bond and trophy. The first pageant was modest but a wonderful beginning. 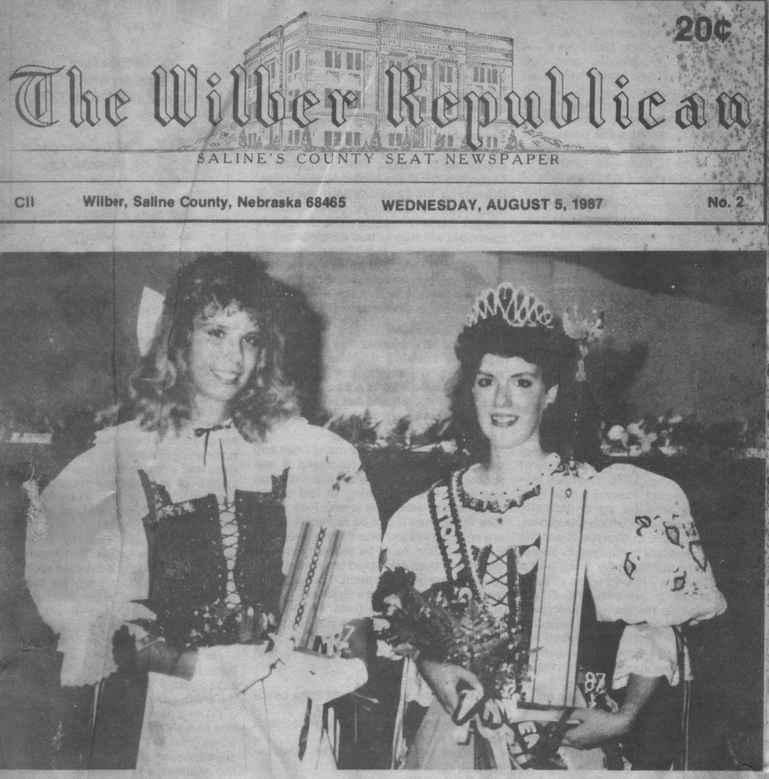 The pageant was held on a mobile stage on the east side of the Wilber Courthouse. The pageant was held in one night, Sunday. Award expenses came from John Fiala, Doris Ourecky, Annie Salda, Lisa Karpisek, and Laverne Vavak.